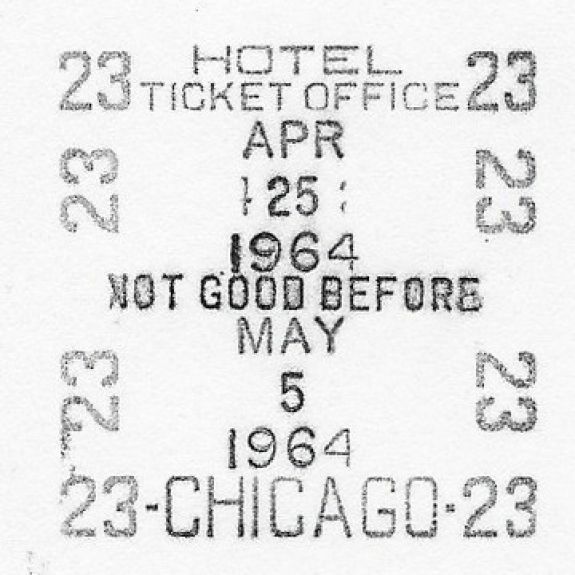 Description Chicago, Illinois Hotel Ticket Office Position Number 23 Ticket Dater/Date Stamp Die for a Hills Model No. 7 ticket dater machine. A rare die from an era when Chicago hotel patrons could purchase railroad tickets right in their hotel lobby.